Activities for Israel Elections 2015 – This page presents educational resources on the upcoming Israeli elections. Resources include programming ideas, articles, and links. Jerusalem – Israel’s Capital – A sample booklet for Yom yerushalayim from the Lookstein Center’s Israel Curriculum. David’s Capital – A sample booklet for Yom yerushalayim from the Lookstein Center’s Israel Curriculum. Lesson Summaries – From the Lookstein Center’s Israel Curriculum. Hatikvah Activities – This activity compares the Israeli national anthem to a poem written by Rav Kook, first Chief Rabbi of Palestine. Includes original texts, worksheet, essay and recording of Hatikvah. Hatikvah Powerpoint – This short Powerpoint in simple Hebrew introduces students to the author of Hatikvah. Yom Yerushalayim Powerpoint– Three powerpoints that trace the history of Jerusalem. Part I covers Jerusalem until 1967, Part II covers the liberation of Jerusalem and Part III explores Jerusalem today. By Tzvi Pittinsky. The Flatbush Model: A Zionist Curriculum for Students After the Creation of a Jewish State – Rabbi Yotav Eliach outlines a six-part formal curriculum that teaches religious Zionism. Sections cover geography, nationalism, history and more. Programming Ideas for Yom Ha’azma’ut – This collection of materials for the teaching of Yom Ha’azma’ut includes textual study, experiential programs and a variety of educational games. Prepared by David Tesler for the Avi Chai Foundation. Aliyah – web-enhanced lesson – In this web-enhanced lesson, students learn more about Israel, including its geography, economy and history. They then consider where they would like to settle in Israel. Prepared by Shalom Berger. Chaf-Tet beNovember – The Significance of November 29 – In this web-enhanced lesson, students explore the significance of November 29th in modern Jewish History. Students visit online resources to examine the events that led to the historic UN decision of November 29, 1947. Prepared by Shalom Berger. Yom Ha’atzmaut – In this Yom Ha’atzmaut lesson for high school, students examine Biblical and Talmudical texts that imply that the modern settlement of the Land of Israel and the establishment of the State of Israel were part of a divinely ordained plan to begin the redemption of the Jewish people. Prepared by Moshe Abelesz. A Capital Choice – In this WebQuest for middle and high school students, students act as King David’s advisors and help him pick a new capital city. Students research the history and archaeology of cities in monarchic Israel/Judah. Created by Jay David Sales. The Israel School Guide – This comprehensive guide contains descriptions of all the men’s, women’s, and co-ed post-high school programs in Israel. In addition, the guide also contains information about scholarships, tips for choosing a school, and more. Israel Activities and Programs Schools have Implemented – A list of classroom and community-wide activities that day school educators implemented during the SecondIntifada. Compiled from Lookjed. Six Tikunim for Israel at 60 – These tikunim explore the dillemas of contemporary Israeli life in the following areas: time, shabbat, gender, conservation, social ethics and sacred place and space. Each Tikun includes a verse framing the key issue, an essential question, a Jewish text, and Israeli song and a contemporary Israeli thought. By the Lokey International Academy of Jewish Studies. Aggadot about Jerusalem-A collection of aggadot about the beauty of Jerusalem and its history. In English. By Jules Gitin and edited by Stephen Garfinkel. 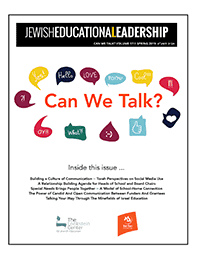 Practical Suggestions for Activities and Programs to Aid Students’ Identification with Israel – A list of classroom and school-wide activities to promote student connections with Israel. Israel Online is an annotated collection of educational resources about Israel divided into categories including advocacy, aliya, geography, government and history. Compiled by Lookstein Center staff. Prayer for the State of Israel: Different Approaches – a Hebrew and English sourcesheet for studying the tefillah l’shlom hamedinah. Contains several versions of the prayer and various rabbinical perspectives. Compiled by Uri Cohen.